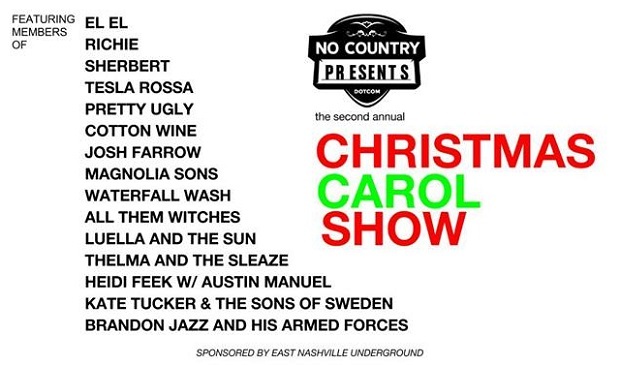 Our new live events wing, No Country Presents, in conjunction with the fine folks at East Nashville Underground, is throwing a Christmas party Dec. 19 at The Stone Fox. Featuring members of tons of our (and, hopefully, your) favorite local bands, the show will consist of renditions of some holiday standards, both old and new. We’ll be printing out lyrics, and encouraging you all to sing along, Christmas carol style! Additionally, we’ll be collecting lightly used coats for the Nashville Rescue Mission, and hosting an ugly sweater contest (winners get a free drink, as long as they’re 21+). The 15-band bash kicks off at 9 p.m., and will cost you a mere $5, so get into the holiday spirit, and come celebrate! To make sure you’re familiar with the great lineup we’ve put together, we wanted to bring you some artist previews leading up to the show. We’ve already told you about El El and Tesla Rossa, and now it’s Kate Tucker and the Sons of Sweden‘s turn. Get familiar after the jump! We’ve talked about how Kate Tucker and the Sons of Sweden have a gigantic family of filmmakers, artists, and collaborators. Ten music videos, three documentaries, and a whole art installation builds into one heckuva statement for the February 11, 2014 release of their next full length, The Shape The Color The Feel. With all of those new family members, that’s a lot of stockings on the mantle this year. In addition to singing, Kate is also a professional caroler. (Trust me. There’s a difference.) When she’s not singing emotive, melodic rock songs, she carols for good causes. 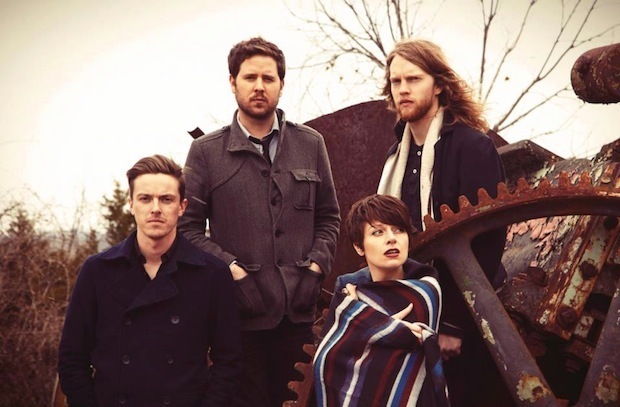 “Blue Hotel” – Available on the Nashville Indie Spotlight 2014 over at iTunes. “Looking Around” – The first video in her ambitious multimedia project.